At Bayberry we LOVE what we do! For over 25 years our customer value-driven philosophy is to provide the best shopping experience through our online store and extend it to each customer by offering the lowest possible prices and the best possible selection of quality products anywhere. 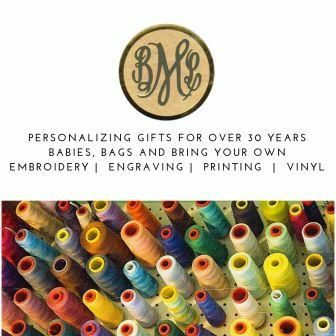 We love to help our customers find the perfect gift for every occasion and make it extra special with customized personalization. If you have any questions about our online store, email us at info@BayberryMonograms.com. Shop and buy with confidence! We at Bayberry Monograms, Ltd. take pride in our quality, selection, and service. Please call us at 781-837-8430 to get answers to any questions or to place an order. We can gift-wrap and ship directly to the customer or the gift recipient. We look forward to hearing from you!